Ahead of the centenary of the First World War, the Minister attended the burial of an unknown British soldier of the Lancashire Fusiliers, alongside current serving members of the Fusiliers. 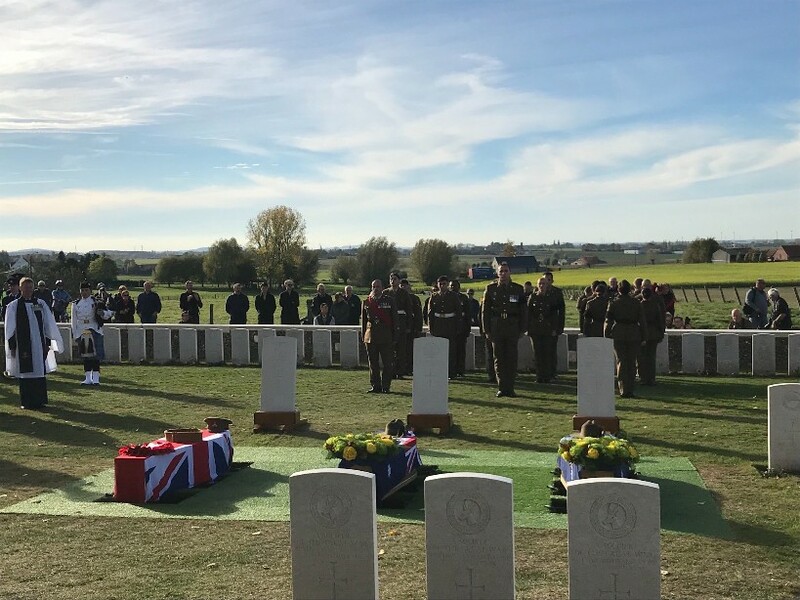 The service was organised by MOD’s Joint Casualty and Compassionate Centre (JCCC, part of Defence Business Services) and held at the Commonwealth War Graves Commission (CWGC) Tyne Cot Cemetery, near Ypres, Belgium. Two unknown Australian soldiers who were found alongside their British comrade were also commemorated.